As the story goes, before taking the podium on the steps of the Lincoln Memorial, Martin Luther King Jr. looked out over the crowd and, identifying its energy, leaned into Mahalia Jackson to request a specific song for the moment. History remembers the Dream, but few know that Dr. King thought as much about the music that preceded his words as about the speech itself: not just the singers and the songs, but the order of the songs, the way they rose and fell with energy and emotion. Making people feel like they could fly was essential to making people believe in his Dream. In short, before his greatest speech, Martin made a mixtape. 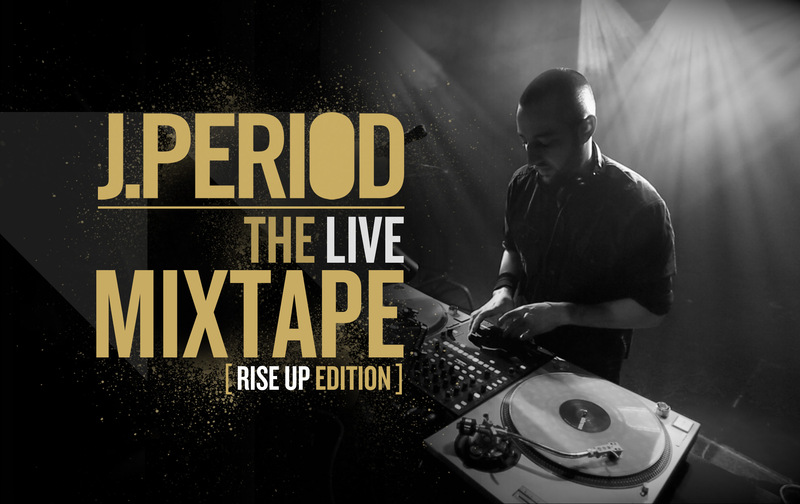 Wednesday, May 23 at The Kennedy Center, J.PERIOD Presents… The Live Mixtape [RISE UP Edition], a groundbreaking concert event that explores the relationship between arts and activism through the sonic lens and vibrant language of hip hop. The Live Mixtape [RISE UP Edition] re-imagines protest music for the modern era and features an all-star cast of special guests including Dead Prez, Posdnuous (De La Soul), Pharoahe Monch, Maimouna Youssef and Rance Dobson (1500 Or Nothin). This installment of J.PERIOD’s [Remixing The Narrative] concert series also celebrates the release of The RISE UP Project, a new album created with support from the W.K. Kellogg Foundation that brings together an extraordinary lineup of artists (Dead Prez, Andra Day, The Roots, Pharoahe Monch, Joss Stone, Aloe Blacc and more) around social justice themes and community engagement. We RISE together, or we fall apart.